Mobile Product Owner Discussion Series. 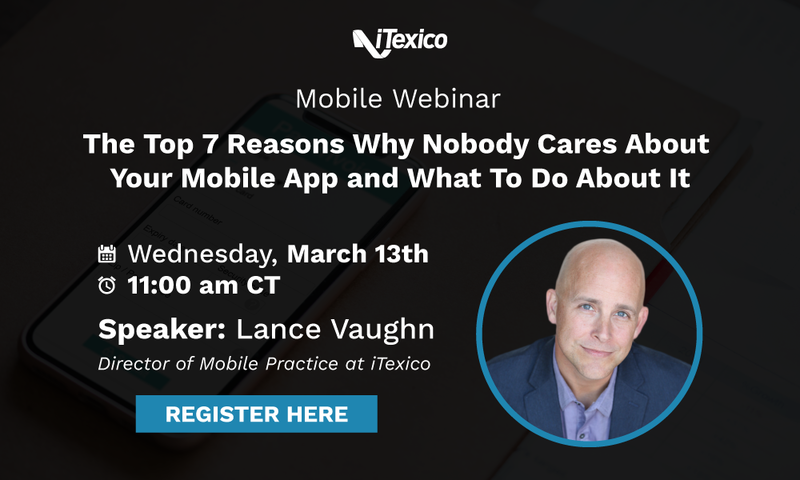 In this first edition of our Mobile Product Owner Discussion Series, we spoke with our own Lance Vaughn, Director of iTexico Mobile Innovation Studio, about the importance of providing the right approach to a mobile strategy with the user as a central focus. 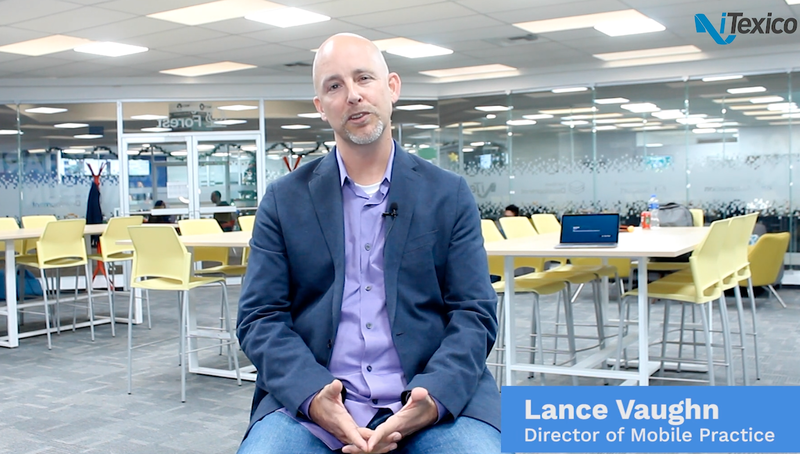 An award-winning tech executive with design, development and delivery experience, Lance wrote his first line of code in '82 and launched his first web app in '95 while working at the Rapid Application Development Center for Cap Gemini Sogeti. Lance has directed the product development efforts of hundreds of products in his career. His empathetic approach places the client first and provides them with maximum visibility and control of their product development efforts. Can you tell us about your role at iTexico? 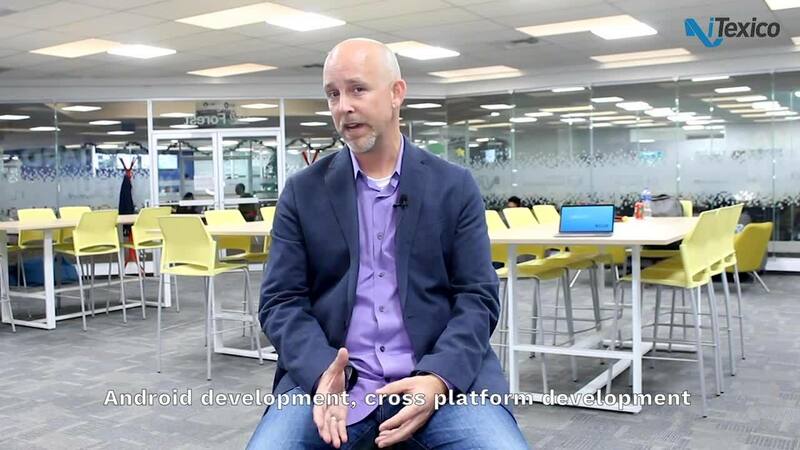 As the Director of iTexico Mobile Innovation Studio, I help our clients remain relevant in their respective domain and to navigate the ever-changing landscape of technology and innovation. This is particularly important now because the bar has never been higher for providing an excellent user experience. Great apps have trained us as consumers to expect simplicity, immediacy, and seamlessness. We help our clients leverage product thinking and continuous product discovery principles so that their mobile apps will delight users while also helping our clients learn more about their customers. How do you define mobile? Is IoT (Internet of Things) considered mobile? What about smart assistants like Alexa or Siri? Virtual Reality? The easiest way to define mobile is to say that it encompasses everything outside of the desktop or laptop computer. That means, yes, it includes IoT, Alexa, augmented and virtual reality, smart watches, and on and on. The absolute best way to think about it is that mobile is the user, not the device. Thinking of it this way, it’s easy to see how it can include any tech and/or devices that we use when we’re away from our personal computer to do our work or play. What is in store in the near future regarding mobile development? What digital trends are you expecting to see this year? There are lots of cool happenings in the world of mobile right now! 5G and foldable phones, for example. But the most important trend to acknowledge right now is that consumers have become more educated and fickle. We’re not going to just download an app and play with it without a good reason. And, when we do give an app a chance, we’re going in with very high expectations. If the app doesn’t somehow make our life a little bit better -- and quickly, without frustration -- we’re moving on! What are some questions IT leaders should ask themselves in order to develop and deliver a winning mobile strategy? It starts and ends with the value we bring to our users. Are we being useful? Are we helping our users with their jobs to be done? Are we interviewing our users to understand them better? Are we finding new and innovative ways to strengthen our relationship with them? To improve their lives? This is a real trend, so don't ignore it. You can almost guarantee that your competitors are investing more and more into understanding their users, their lives, their struggles, etc. By doing so, it will help them build a better, more useful and delightful app. Do you think there are any beliefs in the mobile practices at companies that need to change? Stop interviewing (just) your stakeholders and start researching your users. And researching is so much more than just interviewing. Are you familiar with the Henry Ford quote, "If I had asked my customers what they wanted they would have said a faster horse?" This is a perfect example of how we can't just interview our customers and we certainly can't just give them what they ask for. At the heart of innovation you will find such concepts as empathy and observation. Learn more about the problem, identify the best opportunity, build a prototype, and test it with real users. What is a particular approach you take when it comes to mobile architecture or mobile practice? I tend to focus on some key principles that don’t necessarily pertain only to mobile. This is where I think about something I call "rugged and beautiful". I plan to write more about this in forthcoming articles; but, at a high level, you can think of "rugged" as quality engineering and "beautiful" as delightful and useful design. When a product team works hard to get these two things right, they will most certainly succeed. What is your advice to companies that haven’t made mobile a priority yet? Why is it important for companies to tackle mobile? As a society, we are spending more and more time in "mobile" mode and less time sitting or standing in front of our desks. If you are not investing time to understand the mobile relationship you have with your customers, you are likely missing a huge opportunity -- one that your competitors are likely pursuing. What do users/consumers expect from mobile experiences? Quite simply, they expect the very best. Even when it comes to what we know now as simple mobile app technology, as things like artificial intelligence become more and more capable and pervasive, our users have already begun to expect our apps to better understand us and predict what we want. We will continue to see an increase in opportunities to just tell our apps what we want. Things change fast in the mobile world with so much innovation going on around frameworks, developer tools, libraries, and technologies. What can help in terms of dev practices to stay on top of the changes? We recommend including the developers in your product strategy meetings and user interviews. Reserving 5-10% of your team’s effort for interviewing users and conducting other innovation exercises such as design sprints will allow your team to continue to sharpen the saw and stay ahead of the curve. What’s a mobile topic that’s getting you fired up right now? I see mobile as the number one most exciting area in tech because it is both pervasive and extremely powerful. By the time 5G communication reaches maturity -- and, all the while, AI continues to evolve -- our smartphones will be able to do so much more for us throughout our daily lives. Everything that is cumbersome today will be much easier. So, while mobile technology is not new, it will remain at the center of our universe. Mobile will continue to rest at the vortex of innovation for years to come. Even now, as I write this, I am dictating into a Google doc over my Bluetooth AirPods using my mobile phone. Meanwhile, my Apple Watch is telling me where to turn. I am mobile right now, but still very much connected and productive thanks to mobile. As a mobile leader, what is your secret sauce? No secret, really -- it’s product thinking. I’ve been developing software professionally for 25+ years. Over the years, I grew tired of building software products that no one wanted. So, for me, this grew into a passion for product thinking with a focus on user experience and “getting it right” for the user. What makes a successful mobile strategy? Product thinking, continuous improvement, automation, continuous integration, innovation and continuous discovery. When it comes to engineering, automation and quality, there are so many areas where a product team can "grease the wheels" in order to make the process of creating quality products easier and more fun. What is the project you are most proud of from your career to date? Without a doubt, the work I did for the Texas Rangers and the US Border Patrol was where I had the most impact. Software that I wrote saved the lives of hundreds or possibly even thousands of women and children along the US/Mexico border. Regardless of how you might feel about the border, saving real human lives was the coolest, most satisfying initiative I was ever a part of. If you were to recommend a book, what would it be? And I'm currently reading Scaling Lean: Mastering the Key Metrics for Startup Growth because I love the idea of continuous innovation as the most obvious way to sharpen the saw and remain competitive in today's digital landscape. What emerging technology should product managers pay attention to? I know most folks are talking about 5G in the mobile community because it will have such a large impact on what we are able to accomplish outside of our broadband connections at home and at the office. However, I see 5G as an obvious evolution of the data communication layer. Yes, it will have some impact on our lives by removing data transmission latency and will revolutionize some industries. However, if you’ve done your homework and can’t see any obvious way 5G will impact your industry, I would recommend focusing on artificial intelligence. AI will continue to positively impact our lives in a very tangible and exciting way. The amount of tech that we all hold in the palms of her hands, tuck in our pockets or stash away in our purses will continue to increase. A new era and understanding of “digital assistant” are coming and it’s all thanks to artificial intelligence and machine learning. The physical interface between us and our mobile “phones” will continue to fade and we’ll no longer have to finger-fumble through legacy television-typewriter paradigms. At iTexico, Nearshore Software Development we believe in meeting modern demands with the user as a central focus, helping you identify and build the right features for your mobile strategy. If you’d like to learn more about how we can help through our mobile app development services, please contact us.